In our last article, you saw how to retrieve a particular record(object of class) from a database table using Hibernate Query Language. Today, we are going to show you how to retrieve a particular column of a database table using Hibernate Query Language(HQL). This class will create some UserInfo objects, which will be persisted in a database table the Hibernate and finally a particular column of this database table is retrieved using Hibernate Query Language. 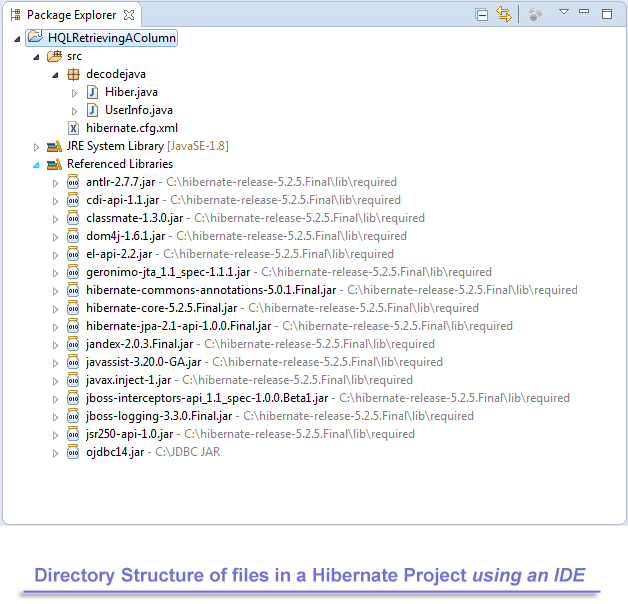 Note : To begin using Hibernate Query Language, we need to create a Query object, using the Session object. Project Folder - HQLRetrievingAnObject is the name of our Project and it is a top-level directory. 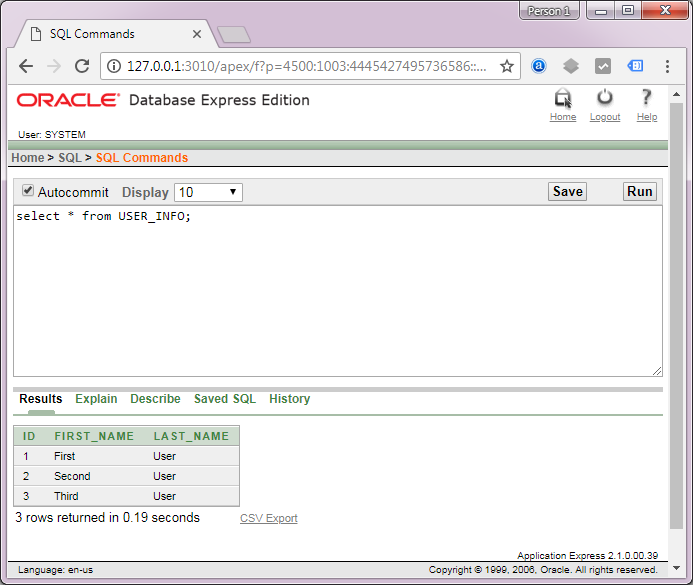 This output shows you all the SQL commands executed by the Hibernate within the database to create the tables and save three objects and finally retrieving a property named id of UserInfo class, which is mapped to a particular column in table User_Info, using Hibernate Query Language command, which also gets translated to an SQL command.